We have Sunday Volunteer sessions in the afternoon, usually at 14.00 for an hour or so. Check the Mayfields Community Trust Facebook page for details and updates if you’d like to come and help us. February 2019: The MCT AGM was held on February 5th 2019 in Dringhouses Library, at 7 p.m. Malcolm Cresser gave an illustrated talk on what our volunteers had been doing over the past year. January 2018: The 2017 AGM was held in Dringhouses Library in January 2018. The Field-work Co-ordinator showed a video highlighting the MCT volunteers’ work and achievements throughout 2017. February: We had Sunday Volunteer sessions to the afternoon, usually at 14.00, at this time of year when it’s warmer and the vegetation usually is a bit drier to work on. Check the Mayfields Community Trust Facebook page for details and updates if you’d like to come and help us. October: The Mayfields Community Trust AGM was at 7 pm at the Marriott Hotel on the Tadcaster Road on Wednesday 12.10.2016. It ended with a half-hour video diary film showing our volunteers’ work over the previous 12 months. September: We had volunteer sessions every Sunday at 10.30 to help keep Mayfields North looking beautiful and tidy by mowing and pruning etc. We also had sessions every Thursday afternoon. August: To help keep Mayfields North looking beautiful and tidy by mowing or pruning etc. we had evening sessions from 19.00 on the first 2 Fridays in August, but as the days got shorter we changed to Sunday morning sessions starting at 10.30 on 21st and 28th August. Margaret Silcock, the MCT Chair, organized and ran a stand at the Woodthorpe Community Fun Day on Saturday 13th August, putting the Gazebo funded by the Dringhouses and Woodthorpe Ward Committee to good use. July: With longer summer evenings we thought we’d stay with evening volunteer sessions from 7.00 on Fridays, so the last was on July 229th, 2016. In dry periods we are also worked on trying to eradicate Japanese Knot weed from the area adjacent to the site for the City of York Council. June: With longer summer evenings we thought we’d try evening volunteer sessions from 7.00 on Fridays in June. We mainly cut grass, helped to maintain the path and trimmed some overgrown shrubbery, taking care to avoid bird nests. Waste was composted on site. We also had joint sessions with volunteers from Askham Bryan College on Thursdays, mainly working on tree management. May: On May 1st Pam and Louise collected 2 bags of litter and also removed dog excrement from the grass verges so that mowing was possible a little later in the volunteer session. We do wish some dog owners would be a little bit more considerate. Adam and Malcolm had a session tidying an area of the west bund woodland and trimmed verges on 12th May. On May 29th Pam and Louise helped Malcolm re-seed an area behind Goodwood Grove that Adam and Malcolm had dug over the previous Thursday. April: At our regular Sunday morning volunteer session on 3rd April, 2016 and later in the same week, we relocated parts of the original path boundary prior to topping up with a tonne of Cotswold chips delivered on the following Thursday. We also did a bit more composting of willow offcuts. We did more of the same at our volunteer session on 10th April. On 24th April, 2016 we planted out plug plants we had raised from seed. We also started mowing more of the grassy verges. Adam and Mike planted more behind the west bund the following Thursday. March: On Thursday 3rd March, Mike, Malcolm, Dave and Adam extended the mini dead hedge around the curve in the path using existing dead wood (Thank you Louise for an excellent lunch to keep us going!). At our regular Sunday volunteer session on 6th March we cleared 6 bags of litter from Mayfields and parts of Little Hob Moor and Hob Moor near the railway underpass. On 13th March, 2016 we tidied the area near the compost heap and on March 20th worked on path restoration near the Info. Board near Little Hob Moor..
February: Our regular Sunday morning volunteer sessions started up again on 7th February at 10.30. Lesley, Louise, Pam, Paul and Malcolm extended the dead hedge at the north end of the west bund. They were joined by Lee and Adam the following Sunday for more on the path and the dead hedge at the north end of the west bund. They also installed the second bench by the meadow on Valentine’s day. We did more work on the path near the notice board near Little Hob Moor on Feb 21st an created a dead-hedge beside the path there on 28th with invaluable help from Lee, Jacqui, Louise, Pam, Lesley and Malcolm. 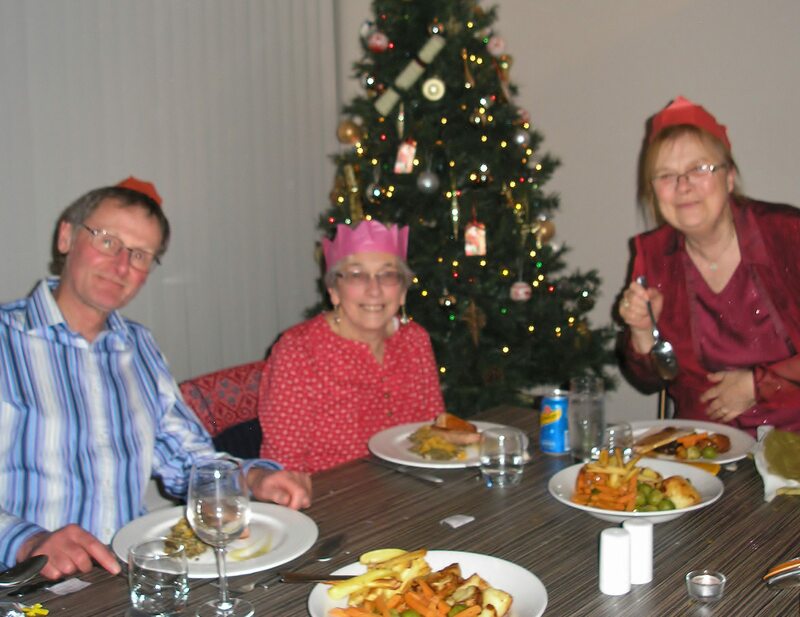 December: Our last Sunday morning volunteer session of 2015 was on Sunday 6th December. They’ll restart at 10.30 on the 7th of February in 2016, so watch this page for details. Do please come and join us then if you’d like to help us for an hour or so with our management of the Mayfields Public Open Space. However you may also see us out occasionally over late December and January if not frozen, probably improving the main and back paths in a few places and pruning trees, especially with an input from Askham Bryan students on Thursdays. November: MCT volunteers had a session on November 1st clearing leaves from the path and reducing some over-grown trees. We had to cancel the volunteer session timetabled for 10.30 on the 8th (Remembrance Sunday) due to really heavy rain. The weather improved considerably later though, so we then managed to coppice and/or reduce same hazels and lowered a few other trees that were getting too tall and shading out more desirable species. Dave, Adam and Malcolm finished work on the willow by the gate on Thursday 5th November. Later in the month they worked on reducing the amount of dead rose wood at the rear of the east bund, creating insect hotels from trunks of vandalized trees and improving the main path. Session on 26th November was also postponed due to excessively wet and windy conditions. October: As you’ll see on our home page, work on the meadow was keeping us busy at all of our first 3 Sunday morning volunteer sessions on October 4th, 11th and 18th, 2015. On 25th 8 MCT volunteers tidied the grass alongside the Nelsons Lane fence and extended the new grass path behind the Hobmoor Terrace houses by about 10 metres (you can see it in a mini video on the Mayfields Community Trust Facebook page. On Thursday 8th Adam, Dave and Malcolm pollarded 2 crack willows on the west bund. September: We started cutting the meadow and raking material for composting on site at the end of the first week in September. We’re continuing with this throughout September using grass hooks. We also planted 500 Snowdrops beside the path at the Little Hob Moor end and removed a lot of the dead side branches from the dead willow on CYC land where these were overlapping the MCT managed area. On !3th we had a recruitment day from 10.30 through till 16.00 and cleared more of the meadow surrounds and planted wild daffodils at the Nelsons Lane end in the newly planted grass area behind Hobmoor Terrace. Our AGM followed the successful Annual Mayfields Community Trust Public Open Meeting at 18.30 on Monday 28th September, 2015, at the Marriott Hotel Management Suite on the Tadcaster Road. August: In the first week in August 9 MCT volunteers concentrated on levelling and removing stones on the cleared area behind houses in Hobmoor Terrace and safe removal of one diseased crack willow and pollarding of another by the playground, subsequently composting the offcuts. We also reduced the height of hazels and roses west of the path where they were damaging more desirable tree species. The following week they concentrated on starting to trim grass beside the path, starting to get the site ready for Autumn and Winter. On August 20th we used a 21 ft Silky pole saw to reduce overhang from crack willows that were starting to damage desirable trees by excessive shading and water and nutrient uptake from the soil. In the last week we extended the area of English bluebells by clearing some nettles and ground elder and planting 400 extra bulbs. July: Most of our volunteer time in the 1st week of July was been spent trimming grass and overgrown brambles, and watering plug plants until the rain finally came on the 4th. In the following weeks we concentrated our efforts on clearing massively overgrown areas behind houses along the Nelsons Lane end of Hobmoor Terrace after consultation with local residents being adversely effected and levelling soil there ready for seeding. On Thursday 16th July and Sunday 19th July 2015, Malcolm, Adam, Ben and Louise concentrated on reducing willows and an Ash tree that would soon have been damaging the fences and a garage of properties on Goodwood Grove. 23rd was spent photographing butterflies and reducing tree overcrowding towards the N end of the west bund and 26th reducing overgrown pyracantha behind a house in Goodwood Grove. On July 30th 8 volunteers reduced branches overhanging the path at the Little Hob Moor end. 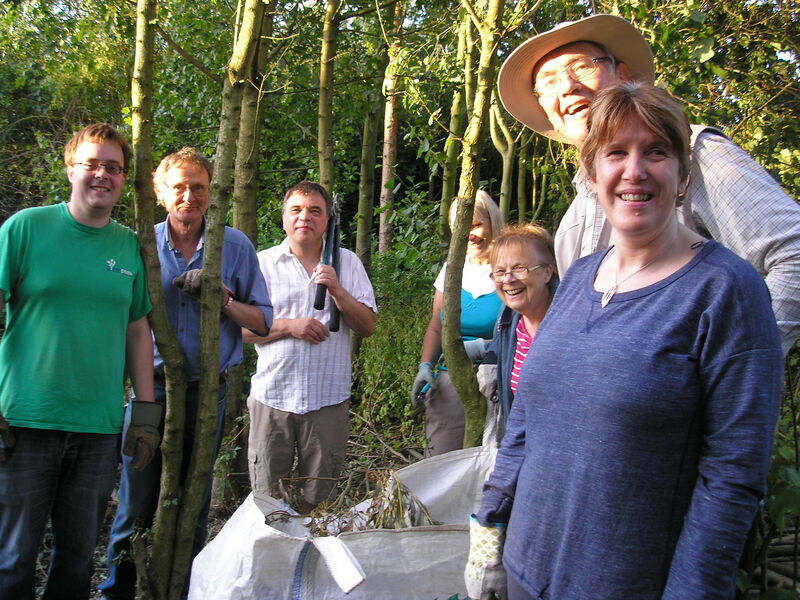 June: At our evening volunteer session on Thursday 11th June 2015, we worked beside the gate at Nelsons Lane. We reduced the height of the hazels to improve growing conditions for (and the view of!) the Silver Birch and Ash trees in that part of Mayfields. You can see a photo of the result on our home page. 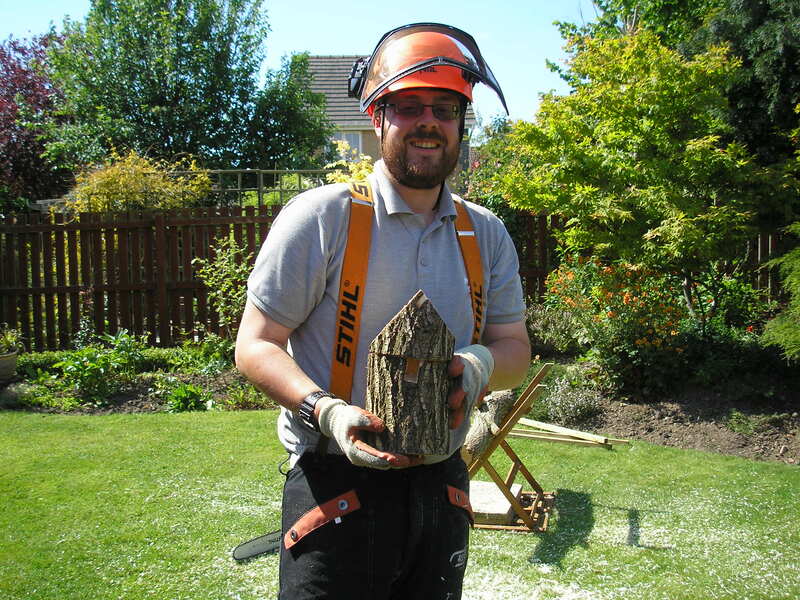 Dave Moore also started to make rustic bird boxes, as promised earlier. The previous week we opened up the canopy over the bluebell area at the N end of the west bund by trimming overgrown Crack Willows and composted offcuts 2 weeks later. At the June 25th Thursday session session we planted foxglove plug plants in 3 areas beside the path. More were planted the following Sunday with help from Ben Kelsall. April and May: MCT erected their second information board, with the help of 13 volunteers, on Sunday April 12th, 2015 and worked on meadow restoration (7 volunteers) on April 19th and 23rd. Read more on our home page. On April 30th and May 7th we concentrated on cutting back (mainly) dead brambles and mowing the path verges. We also pollarded 2 crack willows at opposite ends of the west bund to facilitate safe future management. In the evening on Thursday 21st May 2015, 5 MCT volunteers tidied the area by the gate and alongside the meadow. 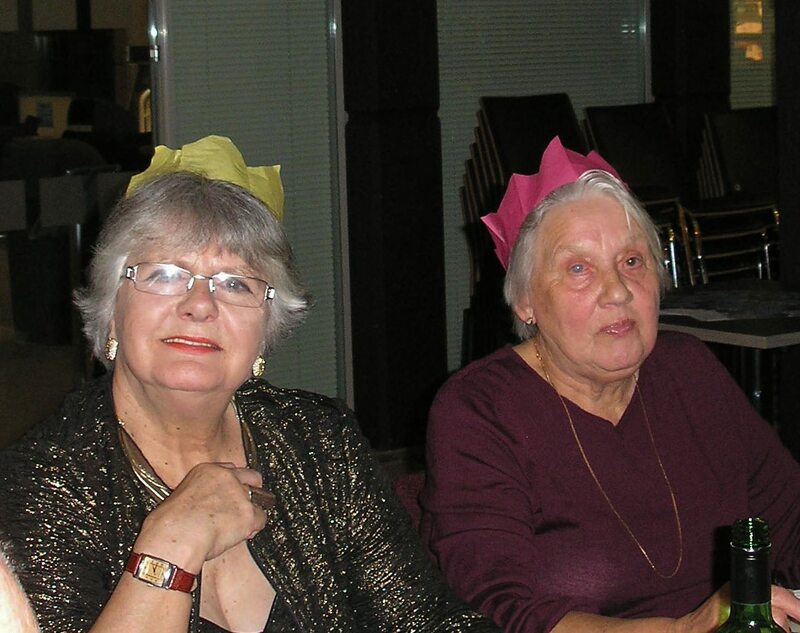 The final evening volunteer session in May was on the evening on Thursday 28th May from 18.30 until 20.00. The weather was good so Paul, Lesley, Dave, Pam, Louise and Malcolm made excellent progress with improving the woodland and the N end of the W bund. We had a great volunteer session on Easter Sunday working on the N end of the west bund. At our volunteer session on Sunday 29th March 2015 at 10.00, 7 volunteers turned out in spite of the hour change (so it seemed even earlier!). We collected several bags of litter as part of the Smarter York Big Spring Clean exercise. We were especially pleased to welcome 2 new volunteers, Claire and her daughter Harriet. At our volunteer session on Sunday 22nd March 2015, 7 volunteers trimmed the grass alongside the fence on Highways land along Nelsons Lane and trimmed overgrown and many dead brambles beside the path at the N. corner of the west bund. At a volunteer session run by Dave Moore on Sunday 8th March, 2015, we cleared much twiggy litter from the path and its verges, and did some general tidying on the site. MCT volunteers continued with this task the following Sunday morning and Wednesday afternoons. MCT presented a poster display about its work at the Dringhouses and Woodthorpe Residents’ Forum Meeting at St Edward the Confessor’s Church, Tadcaster Road, York, on Thursday 5th March 2015. Eight MCT volunteers on 22nd February and 1st March almost finished pruning the heavily over-grown roses adjacent to the playground. Eight helped at our Sunday Volunteer session on 15th February and 4 on Sunday 8th February. They did a great job in pruning massively over-grown roses and tidying the appearance of the under-storey vegetation to the west of the path close to the gate and clearing twiggy litter off the path. Our regular field work volunteer days started again on 1st February, 2015. Our volunteers enjoyed the winter sunshine to help with pruning of overgrown roses near the main path. 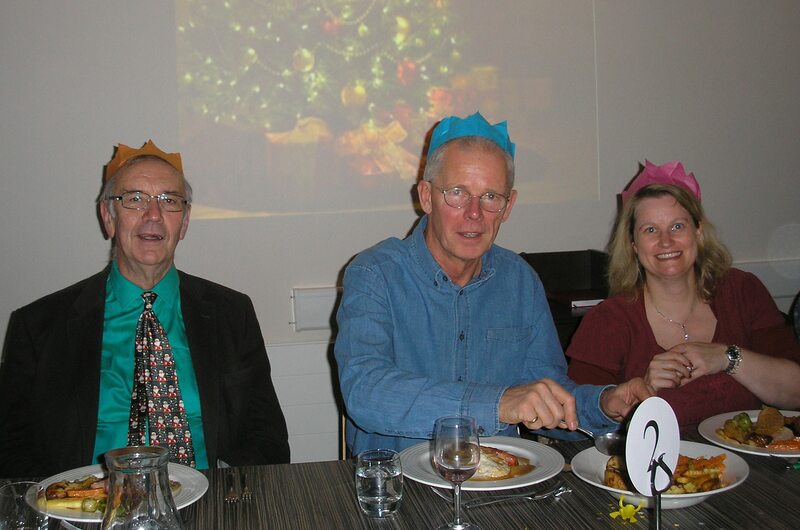 The very successful annual MCT Xmas dinner was enjoyed by all at the Ashfields Restaurant at York College on 17th December 2014. 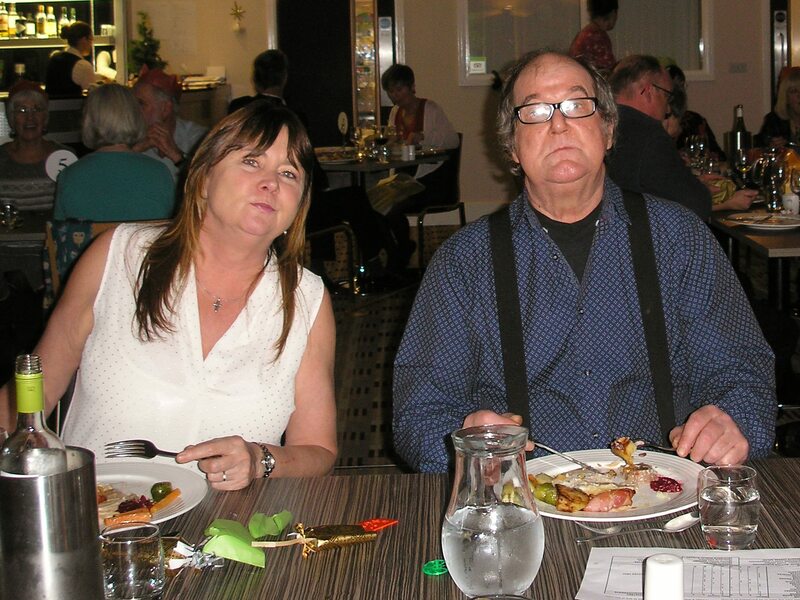 Thanks to Pam for the photos. 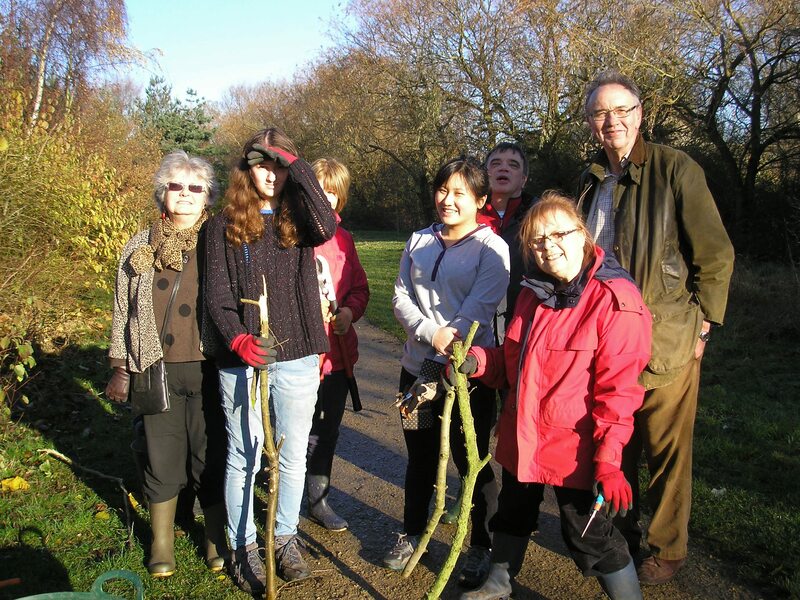 The last formal Sunday morning volunteer session of 2014 was on November 30th, when 8 volunteers enjoyed some rare winter sunshine while they lightly trimmed some of the shrubs beside the path at the north end. At our Sunday morning volunteer session on November 16th, 2014, 7 MCT volunteers composted recently trimmed willow and maple branches, before attacking the dense undergrowth on the east side of the site at the Nelsons Lane end. On Saturday the 8th November 2014 8 of our volunteers set up the first of 2 information boards about the Mayfields Public Open Space near the gate at Nelsons Lane. The following day 6 volunteers cut back some of the overgrown shrubs to the rear of the west bund. There was a Sunday morning volunteer session from 10.30 on October 26th, 2014. Five MCT volunteers trimmed more of the crack willows and over-crowded saplings east of the wild flower meadow, and planted another 100+ English bluebells in the shade west of the gate. In October Malcolm, Louise, Margaret and Pam were pleased to welcome Charlotte Kelsall and Janet Wong to the MCT Sunday Morning Volunteer session on Sunday 5th. Charlotte and Janet are working towards a Duke of Edinburgh award and helped trim excess vegetation from the SE corner of the wild-flower meadow. 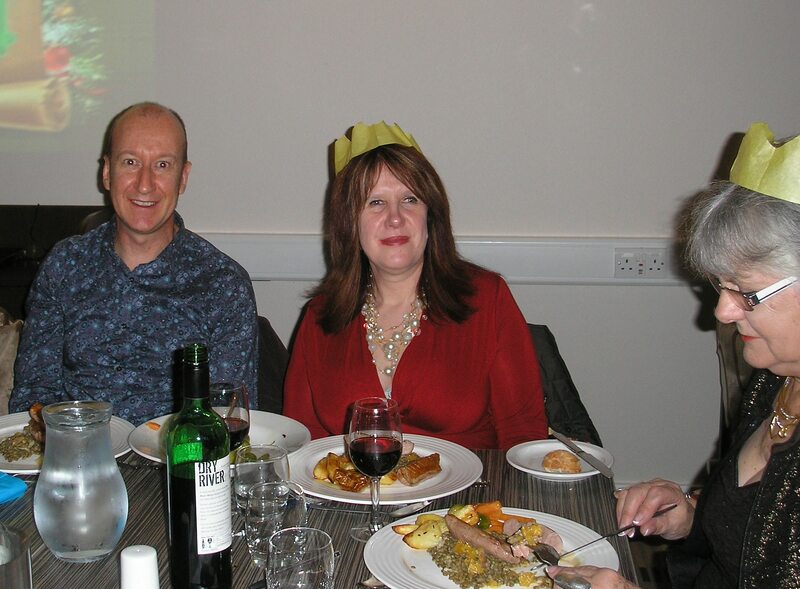 This was continued at the NW corner on the 12th with help from Lesley and Paul. On the 19th the whole team extended the informal woodland path from the east side of the meadow down to the grassy verges beside Nelsons Lane and cut trimmed material up for composting on site. Five MCT volunteers at the Sunday morning volunteer session on September 28th cleared leaves off the path at the Little Hob Moor end and trimmed some of the overhanging branches. Mike, Malcolm and David held an additional volunteer session on Wednesday afternoon (23rd Sept.) for 2.5 hours and made good progress with opening up an access pathway east of the eastern woodland section. This provides essential access to the vents on that side of the site. Thanks to Pam Brown and Lesley Abbott, two of our staunchest and most reliable volunteers, who still turned out on Sunday 21st September and spent their time trimming excess knapweed, brambles and teasels. Their efforts are much appreciated. The MCT open meeting was held at the Marriott Hotel Management Suite on Tuesday 16th September 2014. Participants heard about what MCT has been doing on the wild flower meadow, woodland, paths and fence and why MCT volunteers were doing things the way they were. They also saw a short slide show showing > 60 wild flowers photographed growing on the Mayfields Public Open Space north of Nelsons Lane over the previous 12 months. The open meeting was followed for MCT Members by the AGM. Six turned out for our first two Sunday morning volunteer sessions in September and helped with the meadow restoration. Six turned out for our first volunteer session in August, so we were able to make good progress with trimming grass and excess knapweed going to seed at the north-eastern corner of the meadow, working carefully with sheers and secateurs to minimize damage to wildlife, especially frogs. We had 8 for the second session, so managed to trim a large willow and dispose of wood and green waste to compost. Five for the final August evening session helped with partial pollarding of willow at the rear of the meadow and composting the offcuts and trimmed grass and knapweed. The volunteer session on Wednesday 30th July, 2014 was especially successful, with 8 volunteers (see Pam’s photo below) disposing of trimmed vegetation and grass to the main on-site compost heap. 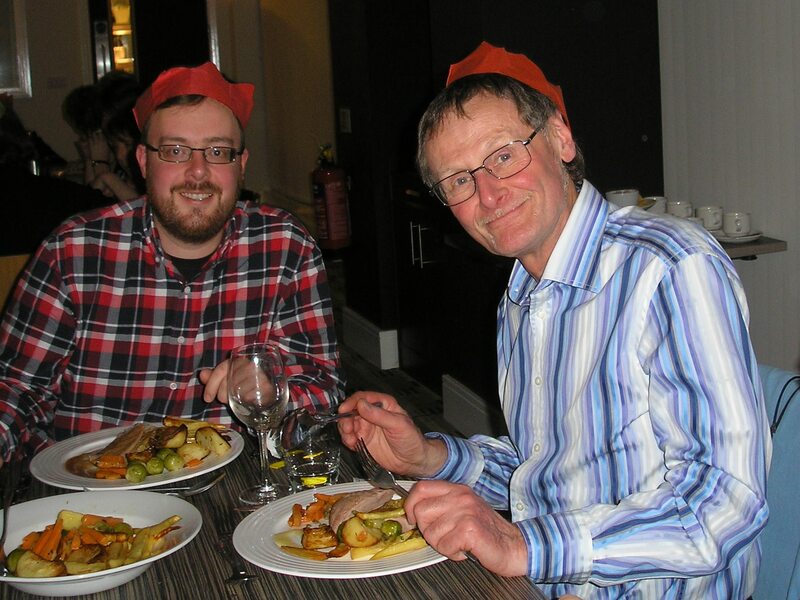 A special welcome to David Moore on the left, who joined us for the first time. There were volunteer sessions for an hour in the evening on Wednesdays, 2nd, 9th, 16th and 23rd July. We made good progress with trimming over-grown willows that could potentially damage garden fences and composting willow offcuts, on raking up strimmed plant material from the meadow edges for composting, and trimming brambles protruding into the playground. There was a volunteer session at 14.00 on Thursday 19th June, 2014, trimming over-grown vegetation. A First-Sunday-of-the-Month Volunteer session was held on Sunday 1st June, 2014, reducing overgrown vegetation to west of the gate. Third-Thursday-of-the-month Volunteer session on 15th May, 2014 at 14.00-16.00, planting more wild flower plug plants and thinning/pruning in a woodland area. Volunteer afternoon, Sunday 4th May, 2014 at 14.00. Volunteer Third-Thursday-of-the-month day on 17th April 2014 levelling soil beside path near Little Hob Moor and re-seeding with wild flower/grass mix. Volunteer afternoon, Sunday 6th April, 2014 after a Management Group Meeting. 3rd-Thursday volunteer day will on 20th March 2014, clearing some more of the overgrown vegetation. Volunteer day, Sunday 2nd March 2014. Volunteer day, Thursday 20th February 2014. Volunteer day, Sunday 2nd February 2014 from 14.00 to 16.00 . Open Public Meeting in the Main Hall, Dringhouses Primary School, at 19.30 on Tuesday 21st January, 2014. Volunteer meeting at 30 Goodwood Grove on Wednesday October 16th, 2013 to work on a soil pH survey. Volunteer meeting at 30 Goodwood Grove on Saturday October 5th, 2013, to work on north end of Western Bund and clearing dead wood and thistles and dog excrement. The first EGM of MCT on Tuesday September 10th, 2013 at 19.30 at York CVS, at 15 Priory Street, YO1 6ET.